Geneva. 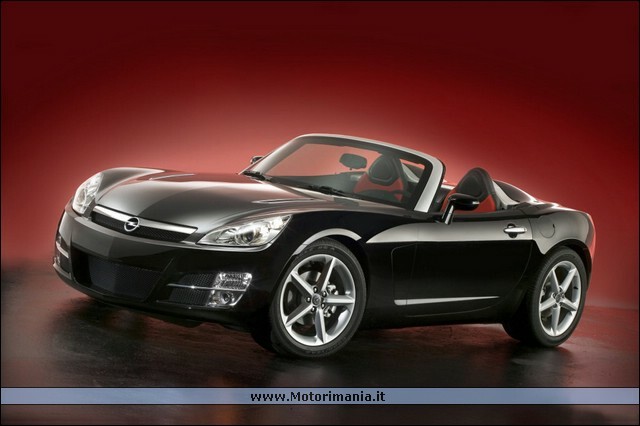 Opel revives the GT legend with an all-new stunning two-seat sports car. The new GT's exciting, sharply-cut lines and classic rear-wheel drive echo the successful concept of the original (1968 - 1973). At the same time, the new GT reinterprets the icon as a powerful roadster with a potent four-cylinder, direct injection gasoline turbo engine. 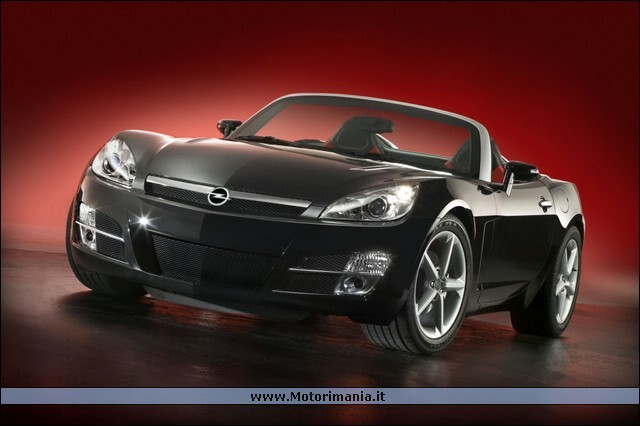 The Opel GT makes its world premiere at the 2006 Geneva Motor Show (March 2 - 12), start of sales is scheduled for spring 2007. "The GT is a powerful addition to our range of attractive niche products, and thereby further enhances the appeal of the Opel brand", says Carl-Peter Forster, President of GM Europe. "The Tigra, the Astra TwinTop, and the new GT mean that we will have three very different models, all of which deliver top-down driving excitement." Another fun factor is the fabric roof, which folds down to provide open-air enjoyment denied to the owners of the first GT. The roof disappears completely beneath a cover, further underlining the GT's sporty silhouette with short overhangs and widely spaced 18-inch wheels. A glance at the new Opel GT makes clear that there's pure sport under the skin; sharp, taut lines and flowing surfaces combine to give it true dynamic presence. The front view is dominated by the pronounced curve of the fenders and the bold chrome strip with lightning-flash logo. The long, front-hinged engine hood carries the familiar Opel crease. Another signal of sportiness is sounded off by the GT's proportions (length/width/height: 4091/1813/1274 mm) with short overhangs and 18-inch wheels that are pushed to the corners of the body. 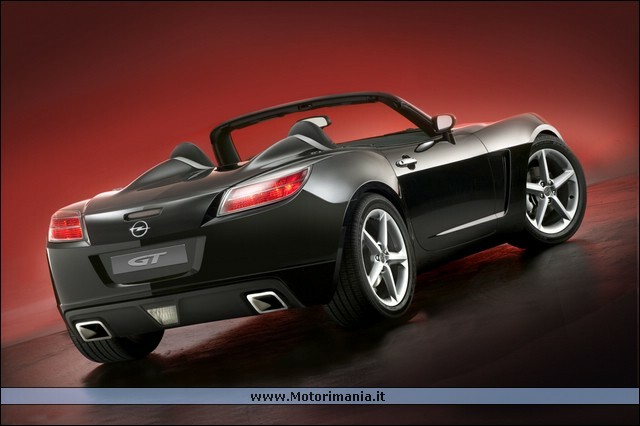 When opened, the soft top is completely concealed under a cover, thus emphasizing the GT's roadster character. Other attractive styling details are the projection-type low beam and halogen reflector-type high beam headlamps. 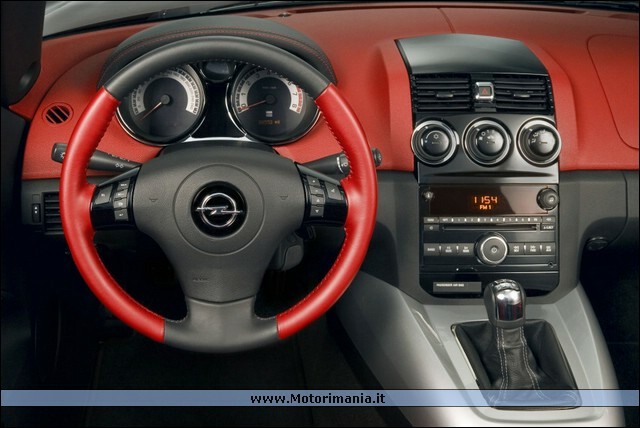 The ergonomic cockpit features chrome-ringed dials for speed, rpm and fuel. Technical grains, piano black and chrome finishes combine with optionally available leather seats to emphasize high value and precision. Jewel-style controls for lights and ventilation are further evidence of the GT designers' careful attention to detail.